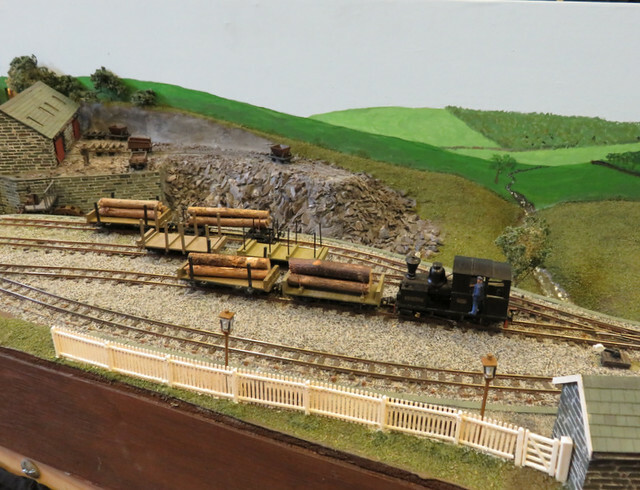 We had an excellent selection of layouts. 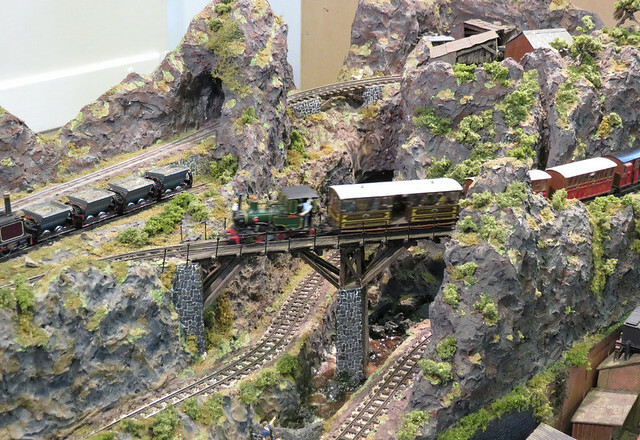 We were privileged to have Ted Polet visit us again from the Netherlands, this time with his Creag Dhubh Summit extension to his well known 009 layout. 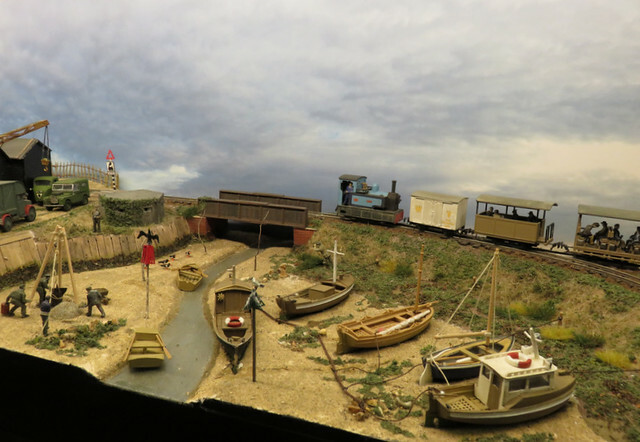 Compass Point (also 009) by Chris O’Donoghue is proving a popular layout on the exhibition circuit, and won the "Best in show" award as voted by the public. 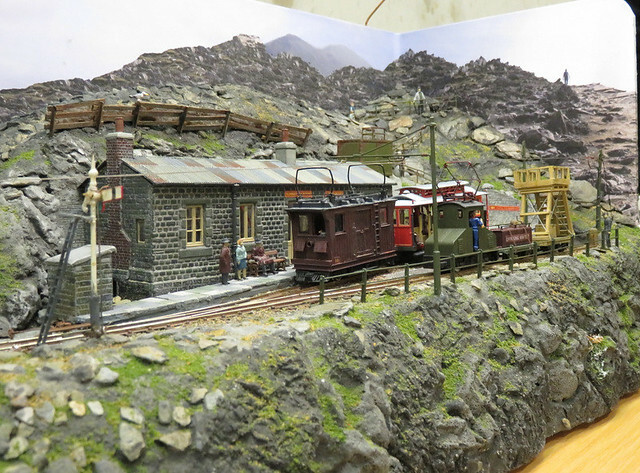 Tony Peart brought his newly finished Pentre Uchaf, inspired by mid-Wales lines such as the Kerry and Corris it has both slate and timber traffic, a zig-zag, countryside running, and an eclectic collection of locos. 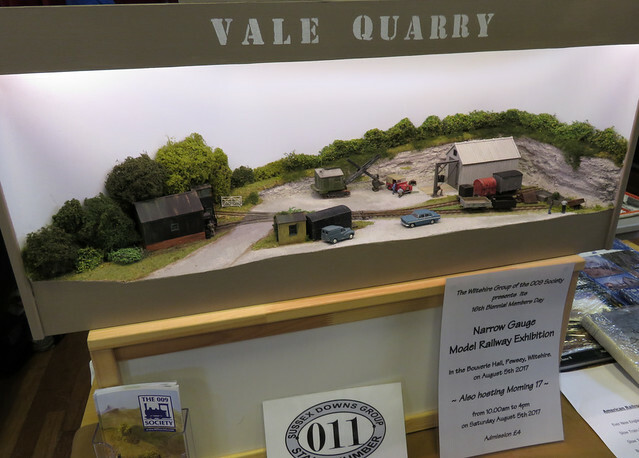 Vale Quarry Preservation Society is the latest 009 layout from John Bruce, another of his small, simple, but very atmospheric models. Phil Savage's Talynog (009) is much older, unashamedly a "Rabbit Warren" design, but packs prototype inspiration and proper operation into a small space, with much character. I could go on - they were all cracking layouts. I even took my own Thakeham Tiles along. But I'll suggest you browse the album of photos for more. There was good trade support too, and the ever popular 009 Society sales stand, while Chris and Karen did a great job with the catering. Most importantly, there was a good vibe to the event, lots of familiar faces (and many new ones too), and people seemed to enjoy themselves - and that, surely, is what it's all about? Just a few days to go until the Sussex Downs 009 group show at Lancing. 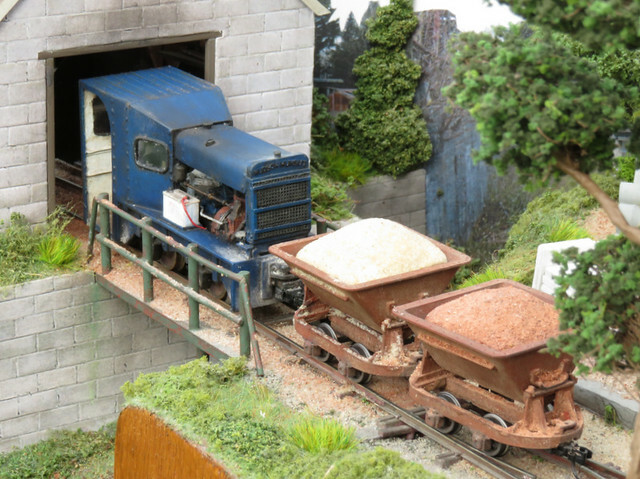 Since most layouts there are 009, HOe or similar, though there is an O-16.5 layout, we thought we'd increase the range of NG scale/gauge combinations if I brought Thakeham. Plus, it has local interest. So this week it has been retrieved from the loft and checked over, just a little loco servicing to get attention and it will be packed up ready for Saturday. 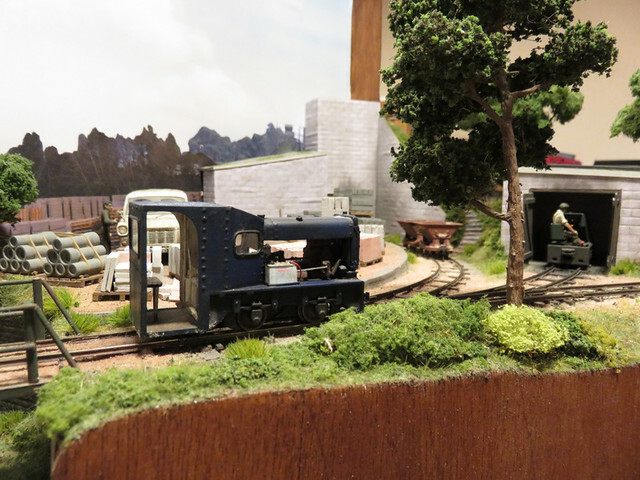 There will be lots of excellent layouts as well! 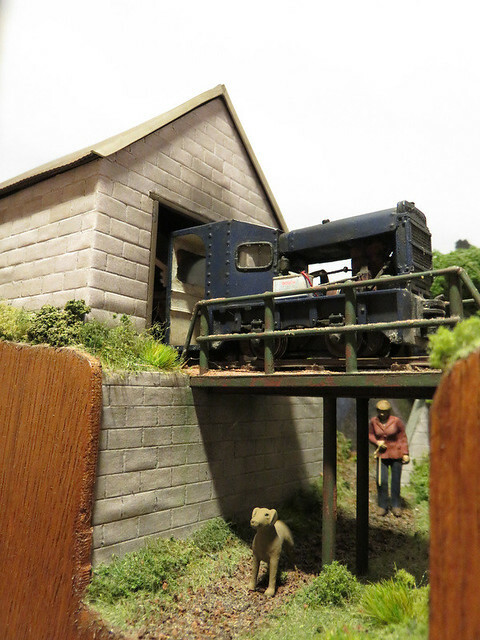 Full details of the exhibition are in the last post, so hope to see you there. Sussex Downs 009 Group Show - 2 Weeks To Go! 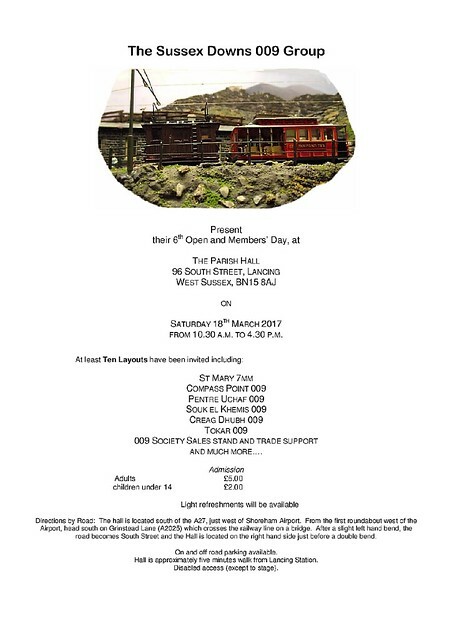 So if you can join us on the 18th, at the Parish Hall in Lancing, West Sussex, we'd love to see you. 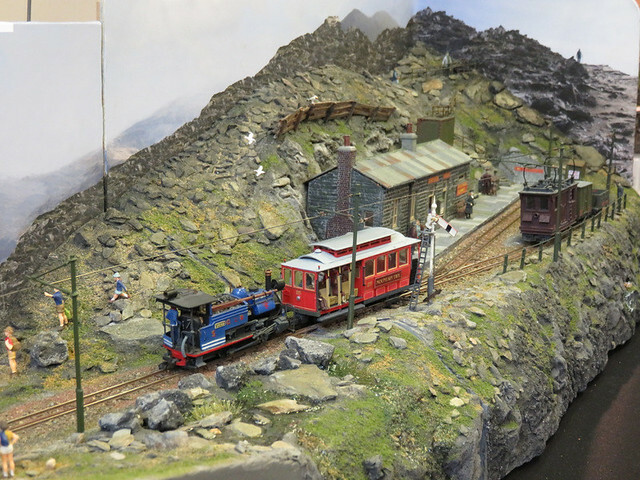 You'll find an excellent selection of narrow gauge layouts, especially in 009 of course, plus the 009 society sales stand and a select bunch of traders. A list of exhibitors can be found on the club website. I'm looking forward to seeing Ted Polet's Creag Dhubh Summit again, all the way from Holland. Chris O'Donoghue's Compass Point is well worth seeing. 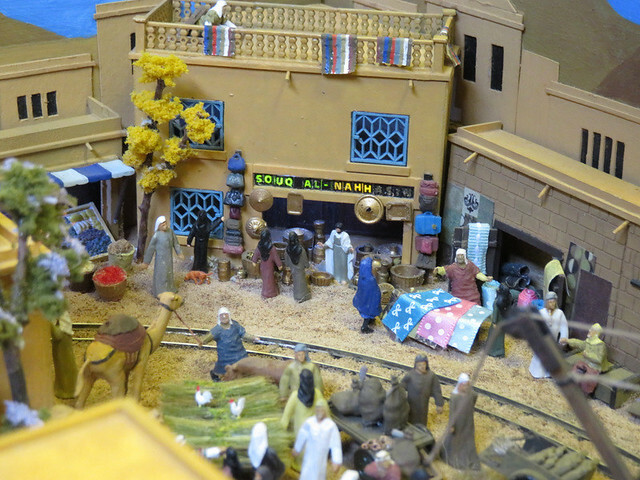 Plus several others, some new to the exhibition circuit, others rarely seen. 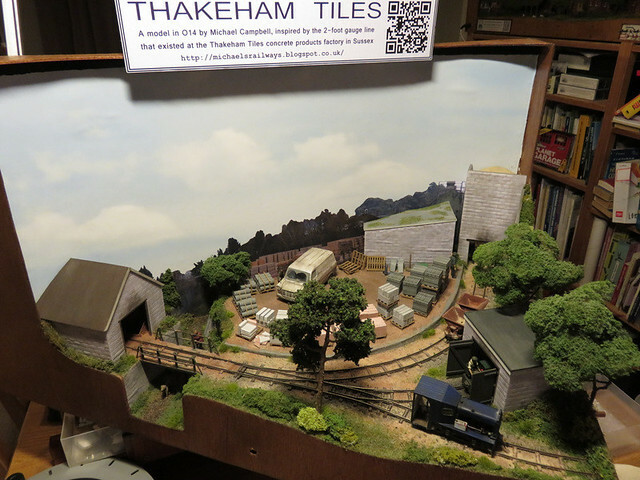 I'll even be bringing one of my own layouts - Thakeham Tiles. So do come along and bring your friends!